Chris Fraley took his first acting class in 1995 but he's been acting (a fool) all his life. He has worked behind the scene with many actors. In 1998 after a two year hiatus from acting he was ... Maggiori informazioni in the studio with Danny Glover who told him he needed to return to his calling, "because you only live once." 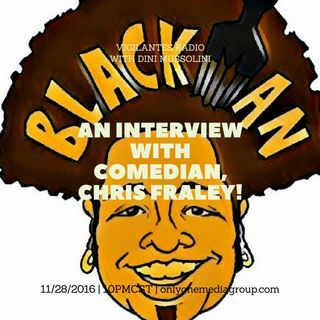 Esplicito An Interview With Comedian Chris Fraley!